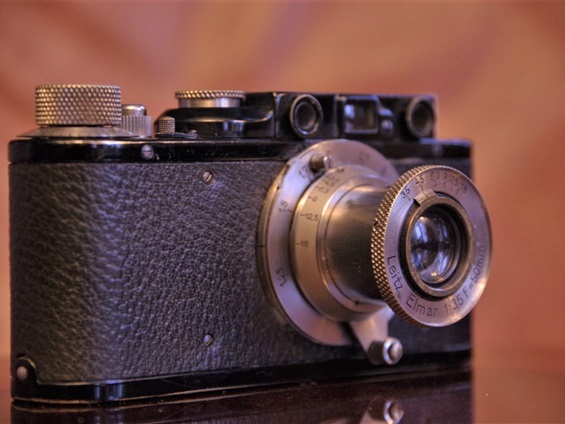 The parents of the Penta Prism Single Lens Reflex camera were both born in the 30s: Leica II, the first rangefinder camera, was introduced in 1932, and the Russian Gomz presented their waist level Sport in 1935. 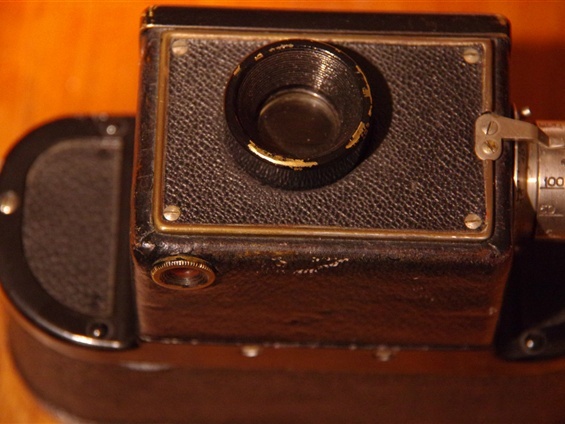 (German Ihagee Kine Exacta waist level SLR was launched in 1936). Both systems were important improvements at the time, but they had their limitations and were just a step on the way. 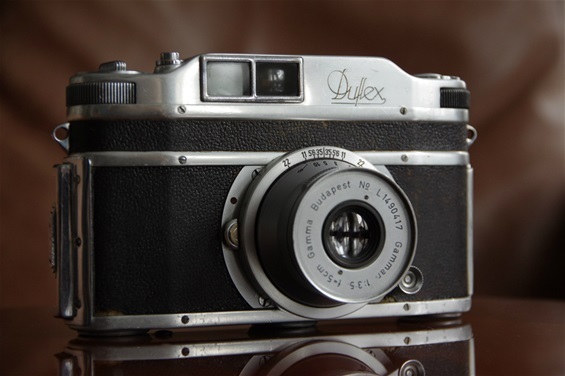 Single Lens Reflex cameras was a step forward from the Twin Lens Reflex cameras like the Rolleiflex of 1928. The TLR camera had two lenses, the lower one to take the picture, and the upper one with a fixed mirror to see the subject. If removing one lens, giving a much smaller and easier-to-use camera, one had to have a moving mirror. So, that is what an SLR camera is all about. 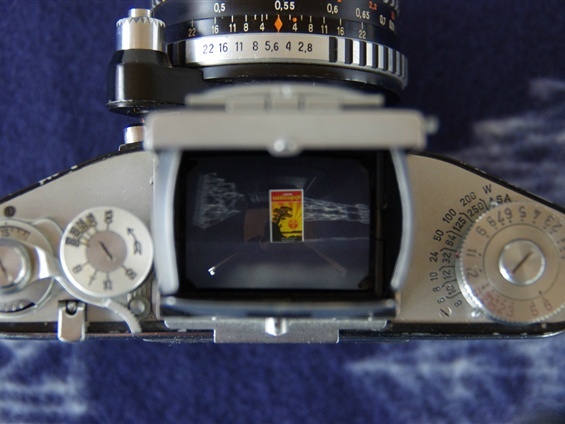 When looking down through the open box, one will see the subject via the 45-degree mirror. 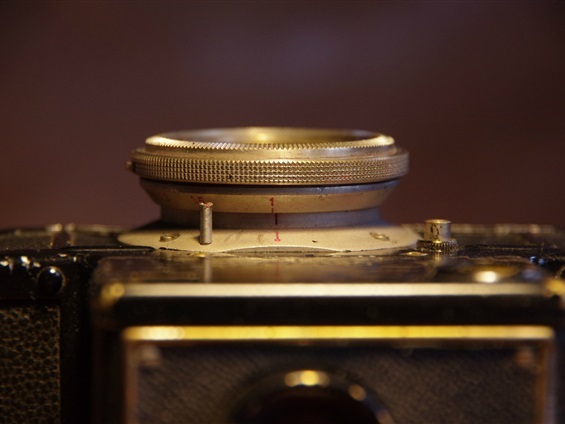 When pressing the release button, the mirror goes up, letting the light through to the film (in cooperation with the shutter mechanism). However, there was a major weakness here: The one mirror construction reversed the scene one would see with the eyes, right became left and left became right, which made the waist level cameras difficult to use for action photography. 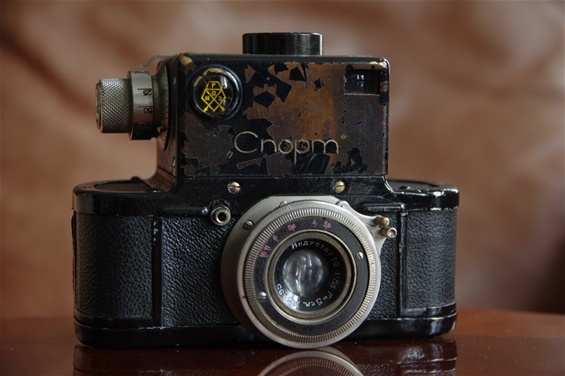 Probably Worlds first SLR camera, the Soviet Russian GOMZ Sport (Cnopm in Cyrillic). It was developed from around 1930 and presented in 1935, though there are photographs of a prototype from 1933/34. That was earlier than the German Kine Exakta. But there is still some uncertainty as to who was the first to produce. Some sources say 1935 as the start of series production, but 1937 may be closer to reality. The serial numbers went from some 320 to around 19000. The lens was a fixed Industar 50/3,5 to 16. 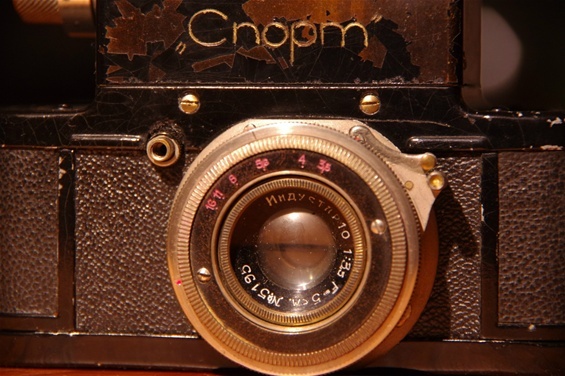 The serial number of the camera was the same as the one on the lens: 5195. So, rather early. The paint is cracked and partly missing. Focusing handle may be closed in inner position. The finder is round as on eye level viewers. Not the open box as on later waist level cameras. Winder and shutter time setting. (B-1/25 to 1/500). Industar lens at shortest range, 1 meter. Infinity. And at the same time locked by the handle. Good and stable shutter. Note the cassettes - one can load them up to 50 frames! A soft fabric on the rear wall. This is the Exakta VX from post-war, but very much looking like the Kine Exakta from '36. Ihagee of Dresden did little development on this camera. They came to be called waist level SLRs because one would have to look down into the open box of the camera, which was positioned more or less at waist level. The main problem with these cameras was that the subject was reversed when looking through the finder, making it counterintuitive to follow a moving subject. Mostly due to this, the waist level SLRs were not very much used for outdoor action. But they came to be used indoor or for landscapes, portraits, and so on, for many years to come. 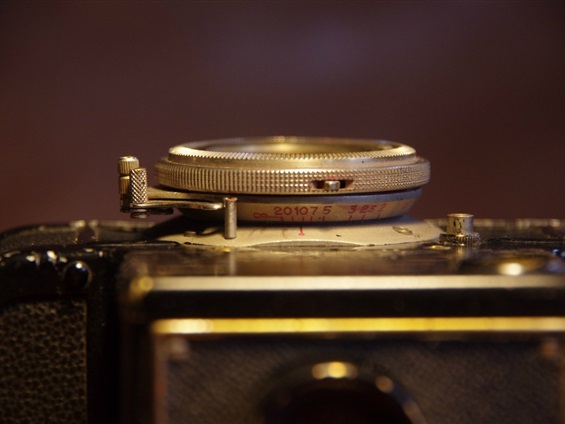 Even today it is used by professional photographers, with either analogue or digital technology. The subject seen correctly, pine tree leaning to the left.. But when looking through the finder, the subject is reversed! 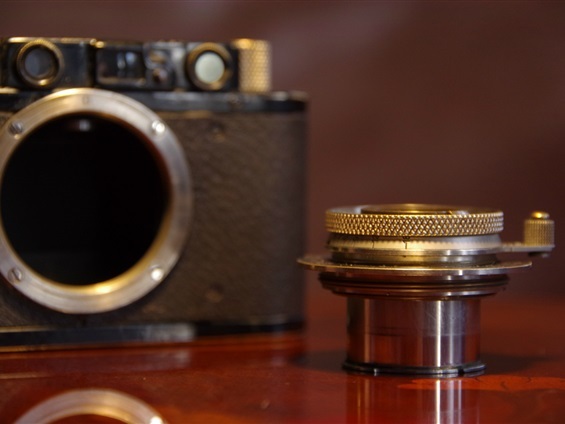 The first quality rangefinder camera, the Leica II from 1932, and from the same year, the Contax 1, was following the Leica I, launched in 1925 with a viewer including a frame supposed to show approximately what the lens would catch. As the focusing on these cameras was more or less a guesswork, a system of a second viewer was established. Through the viewer one would see two identical subjects, and turning a wheel or dial, the two would coincide to one when the subject was in focus. The advantage for the rangefinders over the waist level SLRs was that one could follow the subject through the viewer all the time, so it was much more intuitive and faster. But although this camera was widely used among the photojournalists, the rangefinder could never tell you exactly what was coming through the lens. 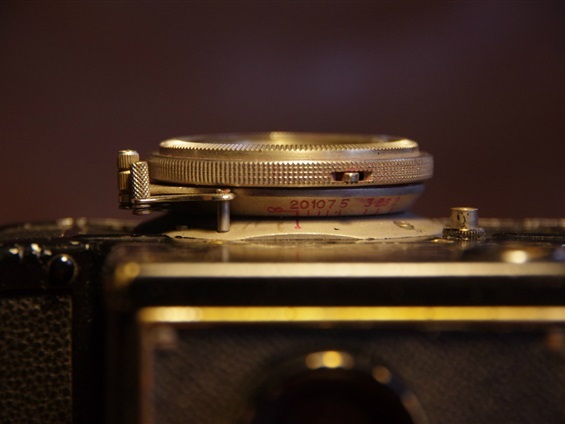 As the next generation of cameras developed, the rangefinders slowly died out during the 50s and early 60s. 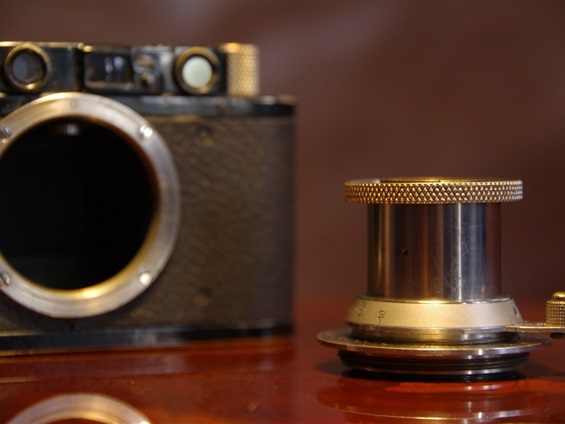 A Leica II rangefinder camera from 1932. Interchangeable lenses, two viewers, one to find correct focus, the other to have a brighter overview. This was the camera the pros would prefer for action and street photographs until the PP SLRs made it possible to see exactly what would be on the film. From the day these new cameras had taken important steps like instant return mirror (Duflex and Asahi Pentax) and automatic diaphragm (Duflex, Praktina, Zunow), the hegemony of the rangefinders was over. 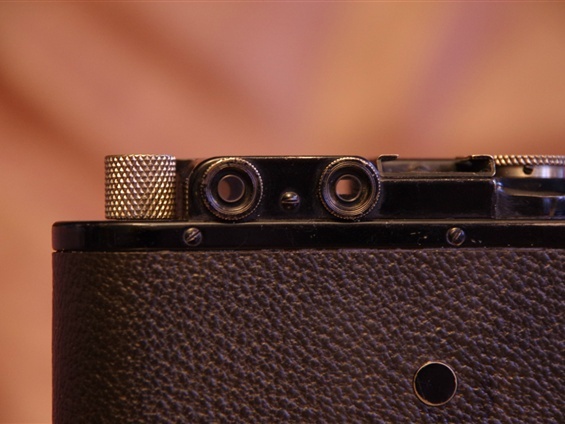 Most Japanese camera producers had been running after Leica, hoping to be number two. Nikon, Canon, Minolta, Petri, Konica, to mention some, seemed to be so occupied with Leica that they closed their eyes for what was going on in Hungary, East Germany, Italy and Switzerland. But Orion Camera Co. (Miranda) and Asahi Optical (Pentax) were picking up the new trend. And soon they were to take it further. 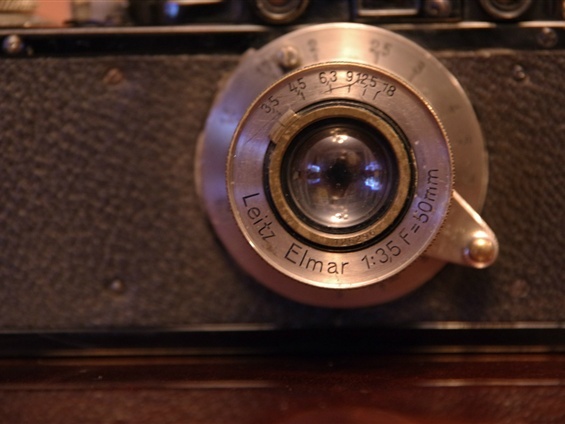 Leitz Elmar 50/3,5. Standard lens on most Leicas from this period. The double viewfinder system. Focusing through the left glass, overview to the right. 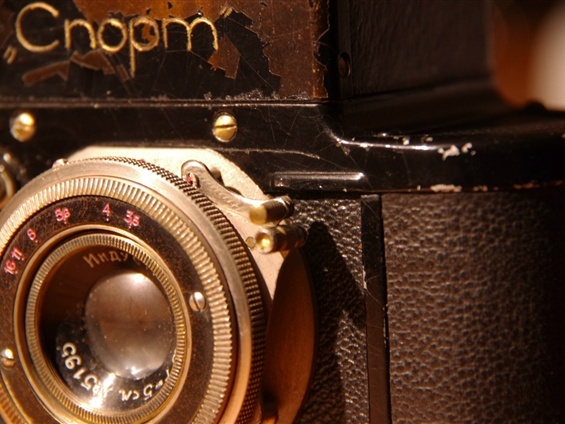 Hardly any camera has had such an impact on others. Here a russian Zenit. And almost every japanese brand (Nikon, Canon, Minolta ++ made almost direct copies. 39mm thread. No mirror in the camera, so the lens can be compressed into it. The weaknesses of both the Waist Level SLR and the Range Finder camera types led the constructors from different companies in different countries to seek a solution where one could see the subject rightsided and naturally standing through the lens, exactly as it would appear on the film. The answer came from Italy, Switzerland and East Germany at about the same time: The Penta Prism. Similar, working solutions were found in Hungary and France. But the Penta Prism SLR was the system to take the development further. Until today, no system has yet set this aside. The Roof construction is necessary to reverse the light beams into a standing, laterally correct image. Four Eye Level SLR cameras were presented and series produced during the last years of the 40's. They were: Hungarian Gamma Duflex, Italian Rectaflex, Swiss Alpa Prisma Reflex and the East German Contax S. But only two of them had a true eye level Penta Prism: The Rectaflex and the Contax S.
The Duflex featured a Porro prism, while Alpa had a Kern prism, giving a 45 degree downwards viewing. 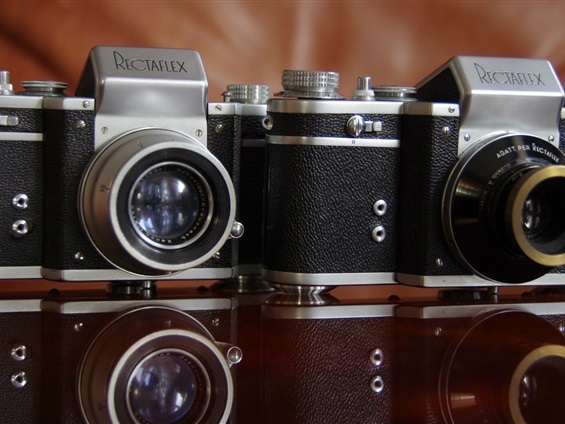 Although this site is about Penta Prism SLRs, we will take a look at all four. The four pathfinders of the 40's: Gamma Duflex, Rectaflex Standard, Alpa Prisma Reflex and Zeiss Ikon Contax S. But who was first? How to judge Worlds First? There are several ways to go when deciding who was first. And one must decide: First to do what? There are many kinds of firsts: first idea, first patent, first prototype, first start of series production, first finished series produced camera to meet the market. Let us look at the different options. Well, having had an idea is hard to prove. Anyone can claim having thought out something when they know the answer. There must be more to it. At least some officially acknowledged papers. So, judging by first idea isn't getting us anywhere. First: Kurt Staudinger, 1932, second: Hubert Nervin of Contax, 1938, third: de Wouters d'Oplinter of Belgium, 1941, fourth: Jeno Dulovits Duflex group, 1943. When it comes to eye level SLRs, there are several patents. 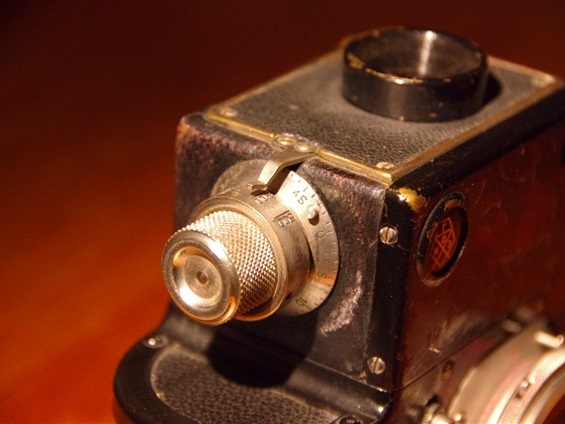 Jeno Dulovits patented his Porro Prism camera in 1943. But although the Porro Prism worked very well, there were hardly anyone else than Olympus with their Pen series some twenty years later who followed that path. 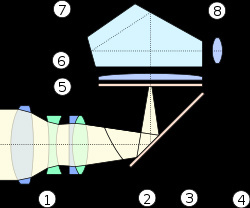 The success of eye-level SLR came with the Penta Prism. The idea of a Penta Prism was not new. It was known for centuries, from the age of the first Camera Obscura described in 1676, but known from 1558, or even earlier. An improvement of the straight Penta Prism, the Roof Prism, was invented by Frenchman Charles Goulier around 1850 . The first patent for a Penta Prism camera was (probably) taken by the German Kurt Staudinger in 1932. He presented it for the German camera manufacturers, but no one seemed interested. 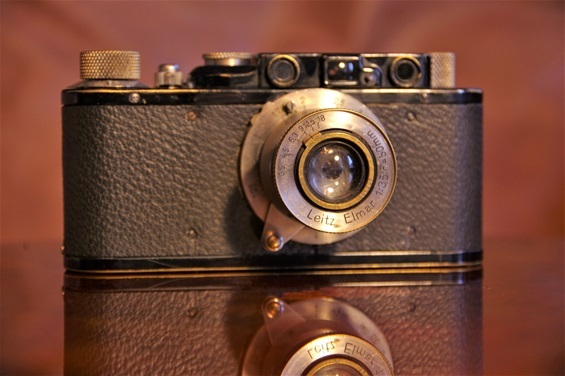 Leitz (Leica) and Zeiss Ikon (Contax) were just about to launch their new rangefinder cameras and did not believe in a camera where the finder was darker and even black after exposure. Ihagee was planning their Kine Exakta and Kamera Werkstätten their Praktiflex. None of them understood the importance of it. Not before some five years later, when head of development department at Zeiss Ikon, Hubert Nerwin, started a project called Syntax, a first step to develop an Eye Level SLR. An application for a patent was ready in September 1941, but was it ever officially approved? Was it too close to Staudinger's patent? A prototype, a Contax II with a pentaprism on top, was ready during the WW II, but after the bombing of Dresden on February 13. and 14. 1945, factory buildings, machinery, prototype, most drawings and key personnel were gone. Another group was settled in 1946 to continue the work, but at that time others had caught up. Jeno Dulovits and his group in Budapest, Hungary, was at least level. And Telemaco Corsi in Rome was working fast. Probably also Jacques Bolskys group in Switzerland. Part of drawings for Zeiss Ikon "Syntax" preparations for a patent application from September 1st, 1941. Was it ever approved anywhere? Anyway, it was never put into series production. And, moreover: After the war, having put the world on fire, causing millions and millions of deaths, and then been defeated, Germany had no credibility and their patents were worth nothing. 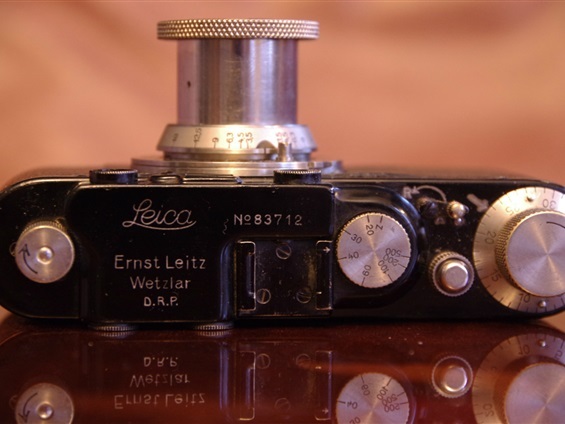 Only Leica still seemed to be very influential, but Japanese companies like Nikon, Canon, Minolta and others more or less copied the german cameras without hesitating, even backed by US administration. German camera industry had to start from scratch. There were other patents, too. 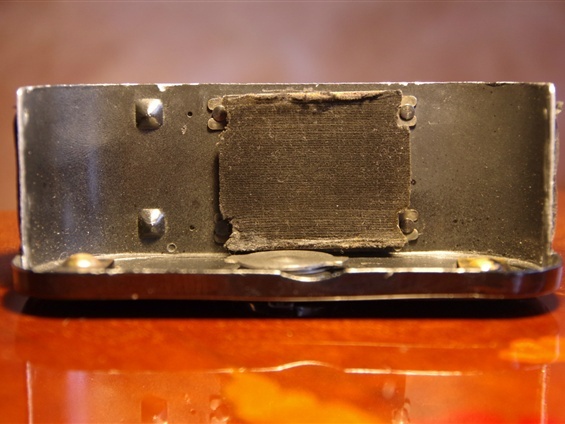 When Telemaco Corsi applied for a patent on his Rectaflex late '47 - early '48, much to his surprise it was not granted because an English company called J.G. de Wouters d'Oplinter had been granted a somewhat similar patent in 1941. Jean Guy Marie Joseph de Wouters d'Oplinter was born in Brussels in 1905. He gained a number of patents within aviation and photographic equipment, registered in different countries. He is most widely known for developing an underwater camera, the rights of which was later sold to Nikon to become the Nikonos. He died in 1973. But as far as anyone knows, neither he nor any company connected to him ever produced a PP SLR camera during the pioneer years. There was another English company, too. Wray Optical of Bromley, South London, had been granted a patent for a special Penta Prism SLR in May 1947. Wray presented their Wrayflex in 1950, but that was not a full pentaprism but rather a simpler edition, more similar to the first Rectaflex of 1947, sideways reversing the image. Wray did not produce a true PP SLR before 1959! By the end of the WW II, Jeno Dulovits' Duflex project was probably in the lead. He had patents, he had prototypes and he soon got an agreement with Gamma in Budapest to produce. Still, three years should pass before Gamma started series production. First: Kurt Staudinger, 1932, second: de Wouters d'Oplinter, February 1941, third: Zeiss ikon Syntax(? ), 1941, fourth: Duflex, 1943. 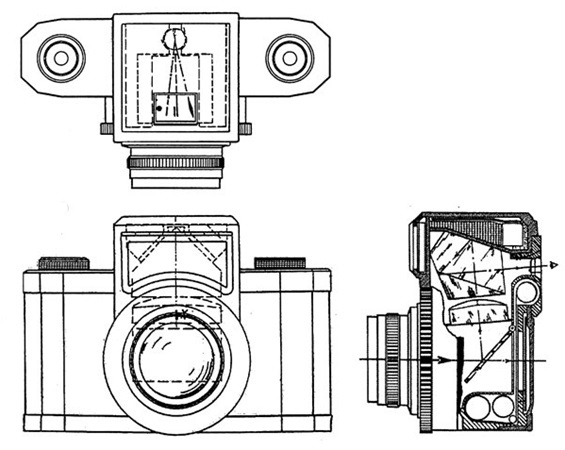 So, is it relevant to focus on patents to decide who made the first Eye Level SLR? In my opinion, no. 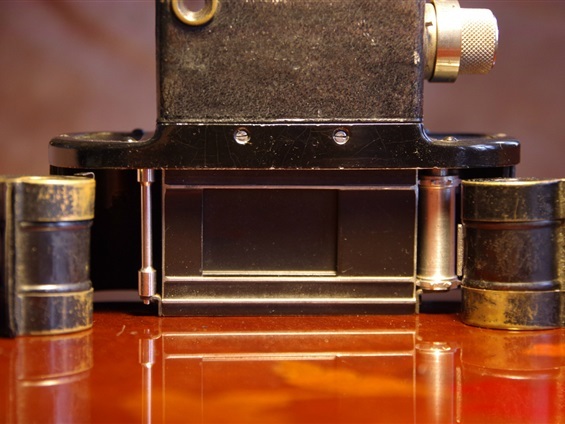 Except for Jeno Dulovits and the Duflex, it is hard to find the connections between patents and produced cameras. There were groups of inventors and producers working parallel and more or less independent from each other in at least five countries, probably more. They were soon to come up with something substantial. In Switzerland, the Ukrainian-born Jacques Bolsky (Yacob Bogopolski) had produced a waist level SLR in the early 40's for the swiss company Pignons S.A., It was officially presented as Alpa Reflex in 1944. Alpa developed this into a roof prism SLR, but with a 45-degree viewer called Kern Prism, thus not quite at eye level as one had to look down into the viewer. It was developed more for scientists than for everyday shooting and was first presented in 1949, according to the company's own history site. Jeno Dulovits had prototypes during WW II and presented the Duflex through an information leaflet that was spread from late 1947. Only some very few prototypes were made at that point. 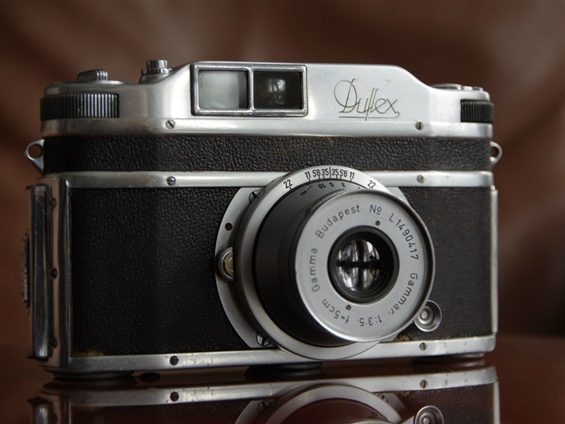 Still, Duflex is often referred to as from 1947. But the first official presentation was at a press conference in July 1948, at the headquarters of Gamma factory. East German Zeiss Ikon Contax S was developed since 1946 through different prototypes. Their first appearance was at the St. Eriks Fair in Stockholm starting August 25th, 1948. The first official presentation was at Leipzig Spring fair in March 1949. Italian Rectaflex of Rome was first presented at Milano Fiera in May 1947. However, this was not a fully working prototype as the prism was not yet of roof design, and consequently reversed the image. But, as was the case with the Duflex, there was a brochure following the presentation that made more people aware. At the next Milan Fair, in April 1948, a fully working Rectaflex was shown, even one sample at the bottom of a water bowl to indicate its strength. 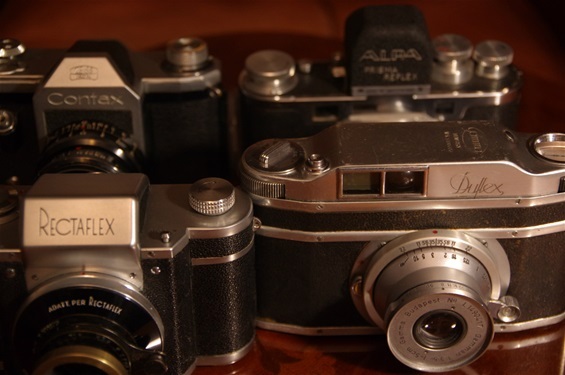 First: Rectaflex, April 1948, second: Duflex, July 1948, third: Contax, August 1948 (first official in Leipzig March 1949), and fourth: Alpa, spring 1949. Note that it took Jeno Dulovits 5 years from the first patent in '43 till the camera could be officially presented, and almost another year till it was publicly available. Not to speak of the Germans, from Kurt Staudinger in 1932 till production late '49. Now, a certain dark haired man with a strange moustache may be the one to blame for this, changing some chapters in the history book and adding others. On the other side of the scale, Telemaco Corsi could start series production of his Rectaflex only 2,5 years after he started working on his project. First: Rectaflex. First presented May 1947. Final presentation fully working: April 1948. 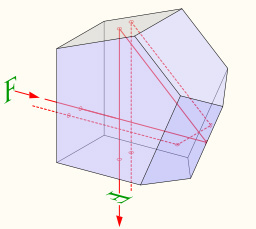 Penta Prism. Second: Gamma Duflex. First presented in 1947. First officially in July 1948. Porro Prism. 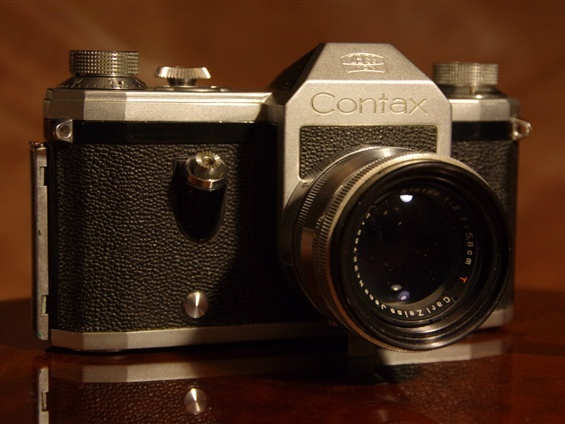 Third: Contax S, presented August 1948, officially March 1949. Penta prism. 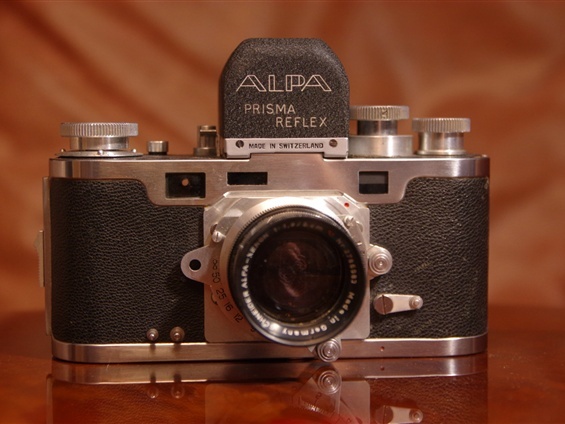 Fourth: Alpa Prisma Reflex. Presented spring 1949. Kern Prism 45 degrees. At Gamma factory in Budapest things evolved rather slowly. No series production took place in 1947. 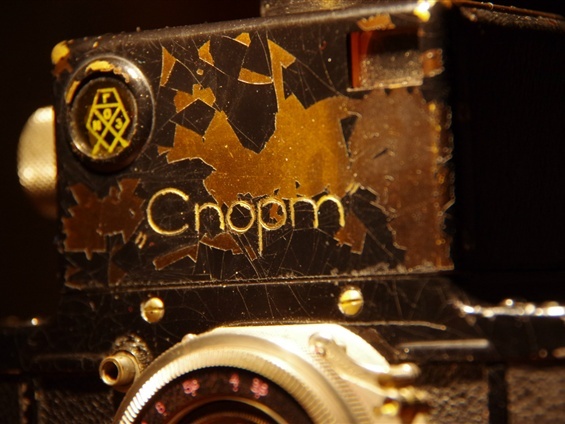 Only a handful of cameras were manually produced during the first half of 1948, until series production could start some time after the beginning of July, when necessary tools were installed. But as the Duflex constructors had to rely on some parts produced outside the Gamma Works, the 50 sets of lenses and camera parts already produced had to wait until the beginning of 1949 before they could finally be put together. Sales started around February/March 1949. At Rectaflex srl in Rome, the pace was different. After the successful Milano Fiera in April 1948, Telemaco Corsi had several orders from home and abroad to show to the board. Preseries production of the Standard 947 model was started in June 1948, and finally, series production of a somewhat improved model A.1000 could start September 1948. Export and sales started late September. Even if most of these cameras were called back to the factory due to some problems with long shutter times, some remained with the buyers and probably filled their task, with or without that problem. After the official presentation at the show in Leipzig in March 1949, series production of Zeiss Ikon Contax S started in Dresden in September the same year. The first sales probably happened during early winter. 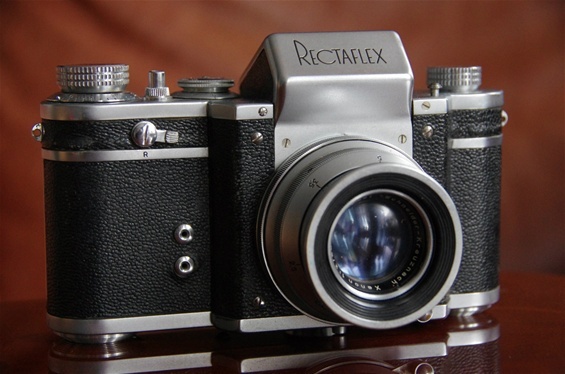 Now, Contax too, like Rectaflex, stopped production after having problems with shutter times. From December '49 till February/March '50 no production took place. It seems to be some uncertainty among German (Dresden) experts whether the '49 production was still a preseries or a production series. Where they sold or not? I have yet to come across any from this first series, as I have never come across Rectaflex A.1000 either, apart from those being rebuilt into Juniors. 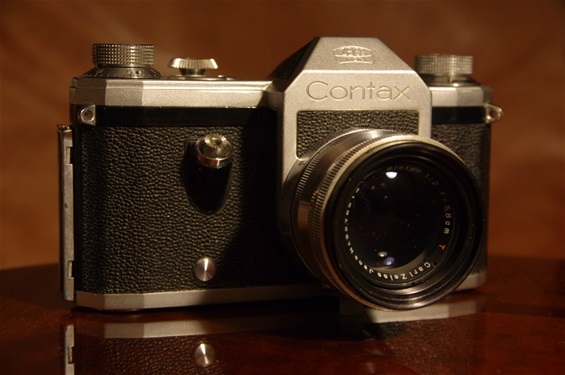 But let us keep to late 1949 as first sales of the Contax S. Or else things could become difficult, as Ihagee Exakta was introduced in February 1950! 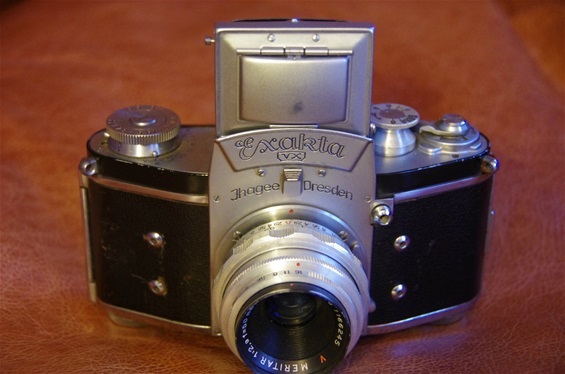 And the first Praktica Service Version some months later..
Alpa Prisma Reflex, as the Kern Penta Prism camera was called, was shown in spring 1949, either in Basel Frumesse or in Milano Fiera, or both. From then, preparations for series production went faster than in Dresden, and series production started probably during the summer of '49. First: Duflex, July 1948, second: Rectaflex, September 1948, third: Alpa, summer of 1949, and fourth: Contax S, September 1949. First: Rectaflex, September 1948, Second: Duflex, February 1949, third: Alpa, early autumn 1949, and fourth: Contax S, early winter 1949. So, this is my conclusion. Ideas, drawings, patents, prototypes and presentations are fine and deserve a lot of credit. But only physical production and accessibility can prove that a product has been successfully made. That is the finish line. As on a marathon: medals are not handed out after 30 k.
I have studied German sources, mostly Dresden-based, Italian sources, mostly Marco Antonetto's very thorough research on Rectaflex history, and Hungarian sources through Zoltan Feijers book on Hungarian Cameras. All three put together give a rather clear picture. Why aren't these facts more widely known? I admit that facts about the Alpa story are not as easy to come by. I will try harder and correct my story if anything of what I have written will prove incorrect in the future. World's first series produced Eye Level and Penta Prism Single Lens Reflex camera, world's first Trigger Related Mirror (TRM), world's first Split Image Focus: Rectaflex. 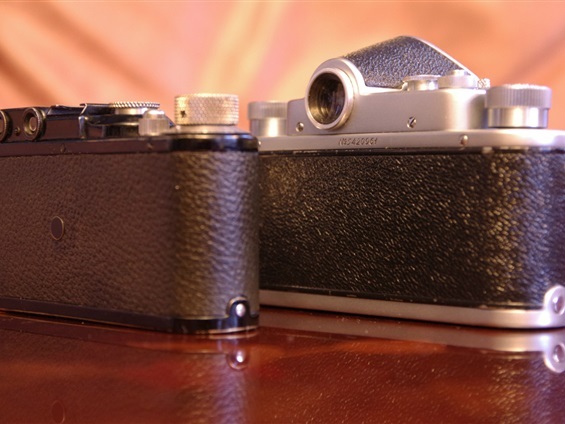 World's second series produced Eye Level SLR camera. World's first Porro Prism SLR. World's first mechanical Instant Return Mirror. World's first automatic diaphragm. World's first focal plane horizontal metal curtain shutter: Gamma Duflex. World's third series produced Eye Level SLR camera. World's second series produced eye-level Penta Prism SLR . Descendant of what was probably world's first prototype PP SLR. World's first series produced camera with M42 threads: Zeiss Ikon Contax S.
Marco Antonetto: Rectaflex - the Magic Reflex. Nassa Watch Gallery 2002. Zoltan Feijer: Hungarian Cameras. Hogyf Edito, Budapest 2001. My name is Tom Lutton and I live in England. 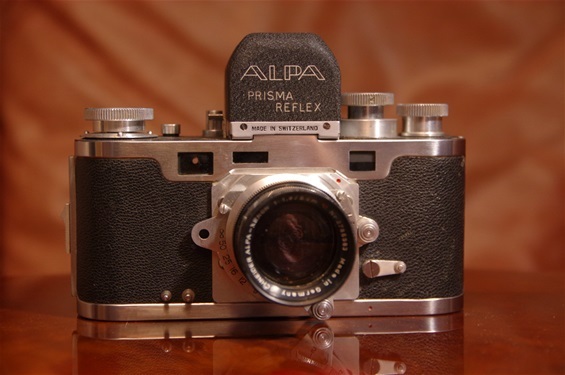 The Alpa Prisma DID have a roof pentaprism. This is beyond dispute. Concerning the Alpa: I will rephrase some lines, to make this point clearer. Thank you. The Alpa construction, the Kern-prism, differed from all other PP SLRs by the 45 degree viewer. 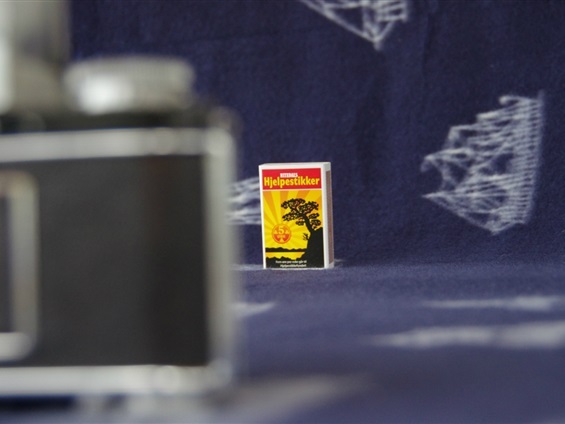 But yes,tecnically it was a pentaprism. I just wondered whether the Hungarians used the poroprism because it gave a brighter image - seems not to be the case!!!! Do you have any idea as to the viewfinder brightness in the Rectaflex as compared to that of the Duflex, i.e petaprism v.s. poroprism?? Hi Chris. Thank you! There are not many porroprism cameras around, but all my Rectaflexes seem brighter than the one Duflex that I have.